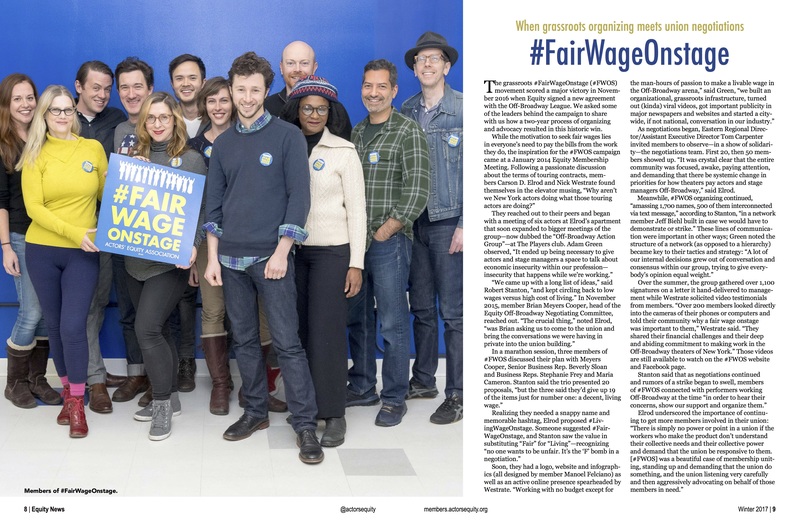 #FairWageOnstage applauds the League of Off-Broadway Theatres and Producers for taking this bold step in agreeing to a historic increase in wages for actors and stage managers. 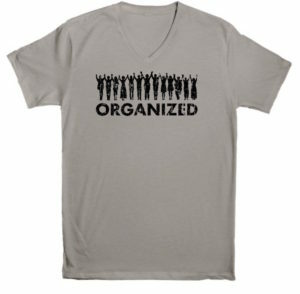 We are deeply grateful to Actors' Equity Association for fighting to better the lives of its members. We are proud of our brothers and sisters who spoke up for the cause with signatures on our letter to management, in video testimonials, on social media, and in other actions that demonstrated our commitment both to the Off-Broadway movement and to each other. 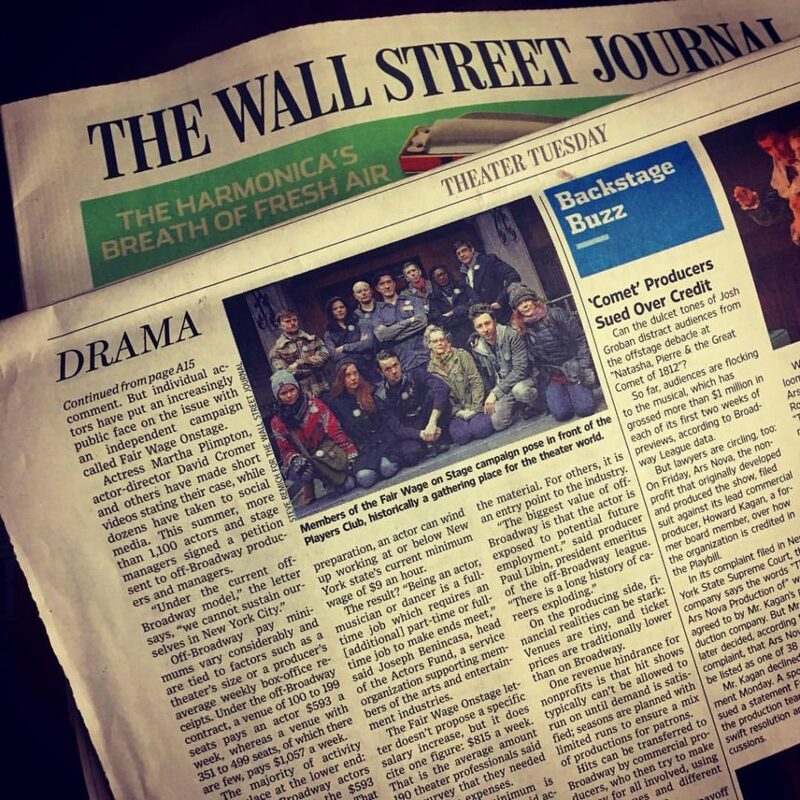 We look forward to making more important work with our employers Off-Broadway, and to further helping to improve the lives of Equity actors and stage managers in New York City and across the country. 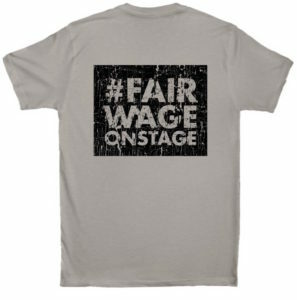 #FairWageOnstage applauds the League of Off-Broadway Theatres and Producers for taking this bold step in agreeing to a historic increase in wages for actors and stage managers. We are deeply grateful to Actors' Equity Association for fighting to better the lives of its members. 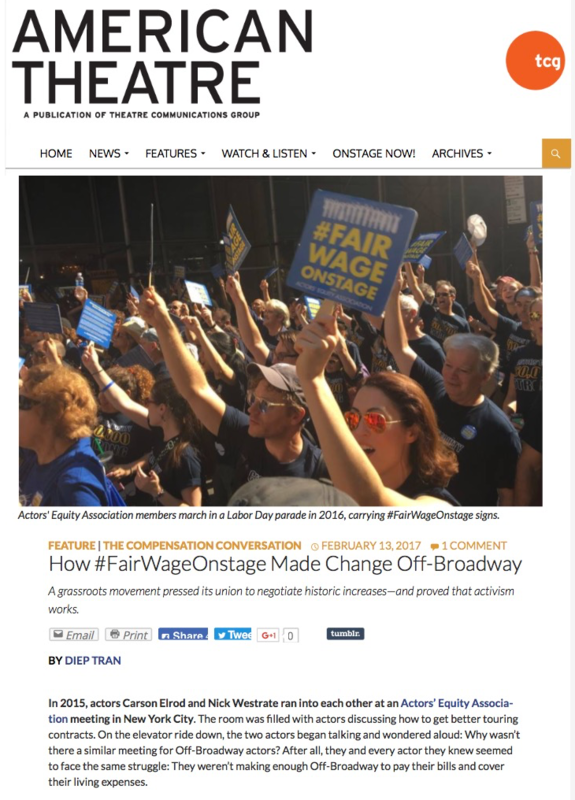 We are proud of our brothers and sisters who spoke up for the cause with signatures on our letter to management, in video testimonials, on social media, and in other actions that demonstrated our commitment both to the Off-Broadway movement and to each other. 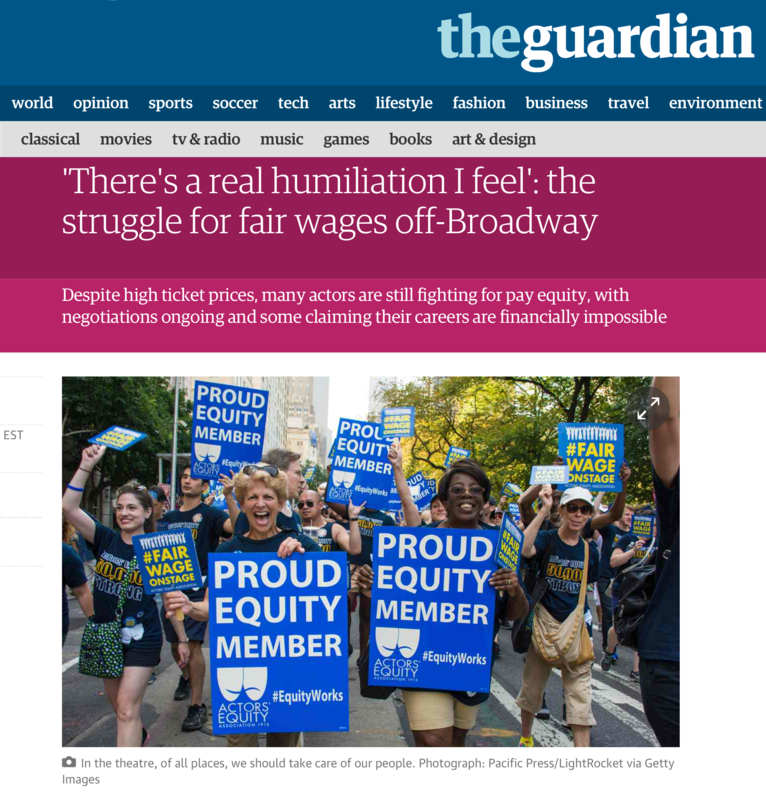 We look forward to making more important work with our employers Off-Broadway, and to further helping to improve the lives of Equity actors and stage managers in New York City and across the country.